Importance Of Good Buoyancy Control. A new diver trying to learn perfect buoyancy, is like a baby learning to walk. It’s new, it’s a struggle, a little bumpy at first, takes practice, and does not come overnight. However once mastered, it becomes second nature, and done without thinking about it. 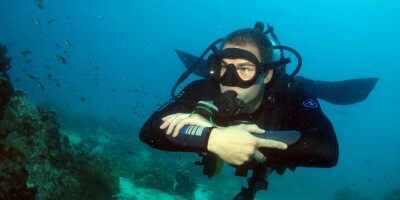 Without a doubt buoyancy is the most important skill for scuba divers. 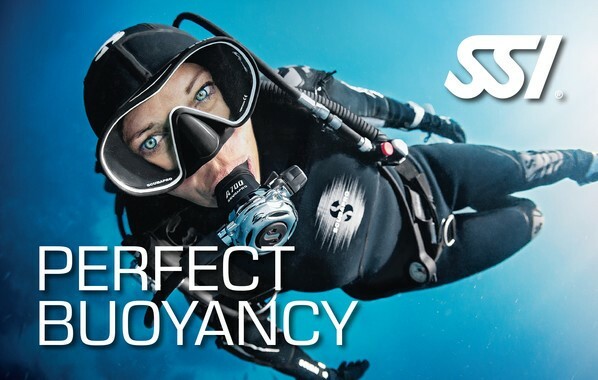 Better buoyancy means more enjoyment, longer dives and a happier scuba diving life. Please see below a few of the most important reasons why buoyancy control is important. Air consumption. With good buoyancy you will exert less energy trying to stay off the bottom and keeping yourself from ascending. By exerting less energy, you will conserve your air and have longer, more enjoyable dives. Preserving the visibility. Buoyancy control will help you stay off bottom, keeping you from stirring up any sand or sediment. You do not want to be the diver ruining the visibility for not only you but the rest of the divers in your group. Interaction with marine life. Being able to float fluidly in the water will give you a better chance to get up nice and close to the marine life versus flailing and scaring the marine life away. Maintaining your dive equipment. Keeping yourself streamline and all your gear clipped in will prevent your gear from dragging on the bottom and across structures. This in return will help prolong the life of your equipment. It may not look like you have done any immediate damage to your gear right away when you get out, however over time constantly dragging your equipment on the bottom will wear on it. Safety. Poor buoyancy control may lead us to come in touch with an object or critters that may impose injuries, such as brushing against sharp rusty edges of a boat wreck, accidentally landing on a sea urchin, fire corals, and others. Or even worse, major buoyancy control issues could lead you to make an uncontrolled rapid accent, increasing the risk of decompression illness. Marine Conservation. Besides you enjoying the marine life in a more positive light with better buoyancy, the marine life will also enjoy you more! As all divers know, the underwater environment is extremely fragile. Just a simple swipe of the fin on a fragile reef could cause quite a bit of damage, so it is very important to keep off the bottom. Now you are probably wondering how to improve your buoyancy skill. 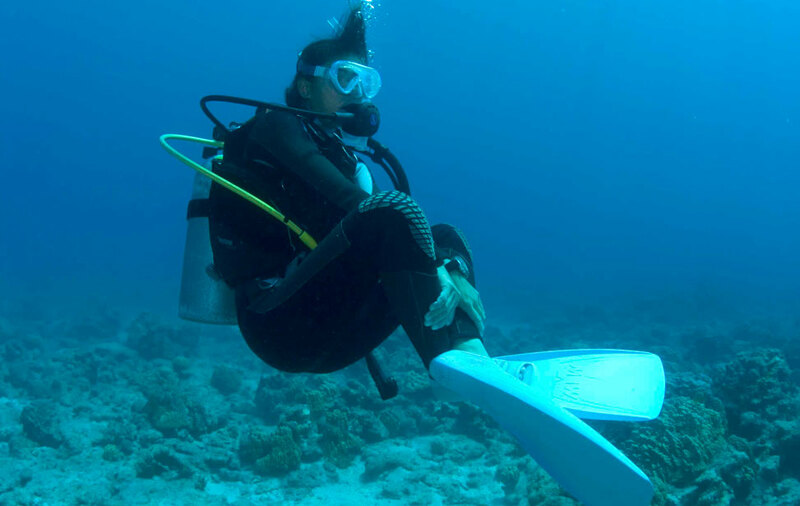 The most logical suggestion is to enroll in an SSI Perfect Buoyancy Course, click here to see when Just Add Water is offering their next course. There is also no substitute for actual practice. So, dive as often as you can wherever and whenever you have the opportunity. The more experience you have, the more your skills will improve.